1559: Trans World Radio Swaziland - Kirundi - 45444 - very good signal with slight transmitter hum. A program of male preacher and traditional Afro music. 1600: Radio Sultanate de Oman - Arabic - 55555 - A music intro into news bulletin. 1601: Adventist World Radio Europe - Bulgarian - 54444 - "Family Breakfast" program with Bojidar and Mira. Usual co-channel interference with CRI English broadcasts for North Africa. It's clearly a collision in North Africa and this has been going on for at least two winter seasons but who cares? 1604: African Service of Vatican Radio in Swahili - 45434 - very good signal with some deep fades. A program of news from the Catholica world. 1606: Pyongyang BS in Korean. Very good signal on 9665 - 45444 and even stronger signal on 11680 but with flutter and some slight co-channel (Voice of Turkey in Dari per shortwaveschedule.com). A program of non-stop instrumental music. Good signal on 6400 kHz as well, but under the strong electrical interference that in the past months has totally occupied the 6MHz portion of the spectrum. Reception was made with Sony ICF-7600D and a longwire aerial. All times are in Universal Time Coordinated (UTC). Yesterday's severe storm, that hit Denmark damaged the top capacitance cables of Kalundborg LW transmitter on 243 kHz. Reparation of the cables started this morning, and it is expected that the transmitter will be on air again in 2-3 days. As this is the only broadcast station currently active on 243kHz, its absence may reveal some Eastern European and Russain NDBs that are normally masked by it. REU shows 13 NDBs logged between 240kHz and 246kHz, so we may have some new loggings over the next couple of days. "Solomon Islands Broadcasting has reactivated its daytime shortwave transmitter on 9,545 from 20:00-05:00 UTC daily for those who like to chase rare shortwave radio stations." Indeed, this will be challenging DX for much of the world. I imagine the maximum output power will "only" be 10 kilowatts or so--enough power to cover the Solomon Islands, but not enough for reliable global coverage. Still, this is the type of DX station I love to chase. # probably via transmitter in Issoudun, FRA, not via Sofia-Kostinbrod, BUL. 0900-1000 on  6045 NAU 100 kW / 275 deg to CeEu English 3rd Sun. XVRB 6045 The Music Museum is about to merge with Shortwave Rock 6045! audience, especially the DX fans who’ve sent us their reception reports. guys and girls who send us your e-mails and reception reports. his first hour on the station on November 17 1000-1100 on 6045 via Nauen. Vauxhall, London, 15 October 2013 – WRN Broadcast has today announced that the company will be enabling KBS World Radio to provide a one hour daily transmission in German using an analogue-digital 20kHz simulcast mode of the Digital Radio Mondiale system via a shortwave transmitting station in Sofia, Bulgaria. Broadcasting from 27th October 2013, the daily transmission will be at 1900 to 2000 UTC (2000 to 2100 local time, in Germany) when listeners with a DRM receiver will be able to hear the broadcast in high audio quality on 5875kHz while listeners with a conventional analogue set will be able tune their radio to 5885kHz. David Treadway, CEO, WRN Broadcast, says "This mode of transmission was defined early in the development of DRM but has seemingly never before been operated for a regular broadcast service. 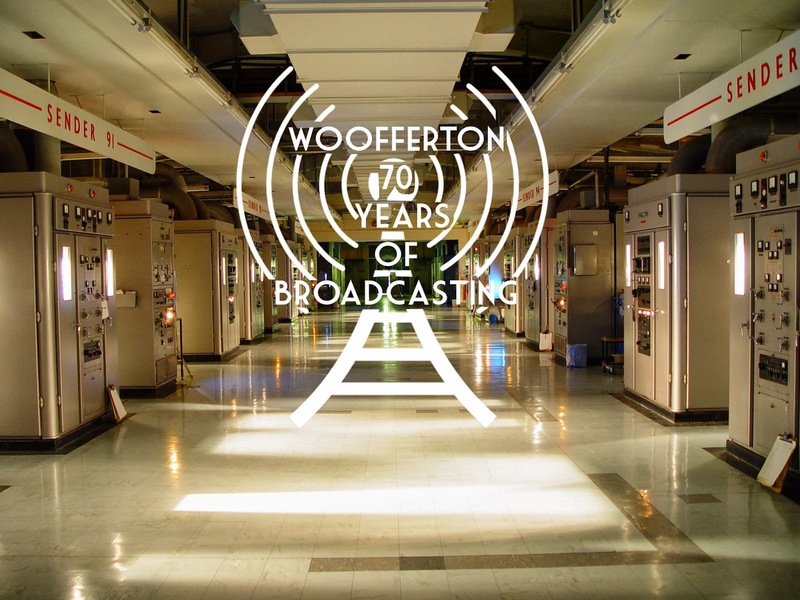 This is another great example of how WRN Broadcast’s world-class expertise continues to support our clients’ broadcast ambitions." Based in Seoul, KBS World Radio has been working with WRN Broadcast for the past 20 years. KBS discussed the possibility of providing a DRM transmission to Germany but WRN Broadcast believed it would gain a larger audience if it could use both analogue and digital transmission and saw the efficiency of placing both within 20kHz. The transmission, targeted at Germany, Austria and Switzerland, will be made from Sofia, Bulgaria where WRN Broadcast first installed DRM transmission hardware in 2003. The station is owned by Spaceline, which has subsequently invested in further DRM equipment. WRN Broadcast has also previously operated a local trial DRM transmission in the London area on 26MHz. 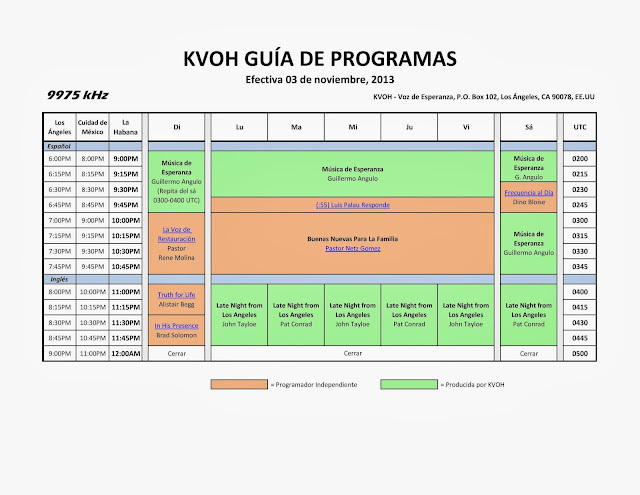 KBS broadcasts globally in 11 languages and 2013 marks its 60th anniversary. 08.00 to 09.00 UTC on 9510 kHz via IRRS, also at 19.00 to 20.00 UTC on 1485 kHz via R Merkurs in Latvia with a weekly separate programme. MV Baltic Radio are still working on there aerial system and will not return to the air until the 27th of October 2013. From October 28, Radio Exterior de España will permanently conclude its shortwave transmissions from its relay station in Cariari, Costa Rica. At the same time, from that date, broadcasts from its transmitters in Noblejas, Spain will be considerably expanded. These changes will affect those listeners in Central America, North America and the northern part of South America’s Southern Cone who tune us. In the coming days, we will post and announce our new frequencies and times in which you can hear Radio Exterior de España on our webpage and programs. EQUATORIAL GUINEA    Radio Africa was reactivated again early in October. Starting from 08.30 UTC this morning. Your reports will be appreciated. Arnie Coro on DXers Unlimited gave details on a new Cuban station that is supposed to start shortwave broadcasts on 1st October. It is Radio Progreso, Programa Nacional. It will transmit with 50kw on 4765kHz from 0030 till 0400 UTC. More details to follow. A message from Larry London on the Voice of America. Hi everyone.....it is with deep regret that I must let you know that the US Government has failed to reach a budget agreement and that means that the US Government is shutting down as of today (10/1) and so is the Voice of America. Border Crossings listeners around the world will be listening to the VOA Music Mix networks music format while this shut down is in effect. We will temporarily stop playing requests or featuring interviews and giveaways while this process continues until a resolution is reached and the shutdown ends. Until that time, please know that you are in my thoughts. I hope this does not last long and we can be together again real soon.